The 'Wonder Women' Series highlights female martial artists and sets the foundations for inclusivity in the future of martial arts. Seminars will attempt to chip away at the gender disparity within the martial arts community. They will provide a dynamic series for the UCLA community and will show the martial arts community that UCLA continues to progress towards inclusivity and innovation. UCLA International Institute, and American Association of University Women. Through a generous endowment by Julia and Ken Gouw and a match by the Chancellor’s Centennial Scholars Fund, the UCLA Center for Southeast Asian Studies is excited to announce the competition for summer 2019 scholarship for UCLA undergraduate students. Priority is given to undergraduate students who have taken Indonesian language. Scholarships will cover the student's program fees and accommodations and provide $1350 to the student for international flights and stipend. Scholarship recipients are expected to submit a 1-2 page report within two weeks after the program ends. The Indonesian Studies Program offers summer travel grants for both UCLA graduate and undergraduate students. 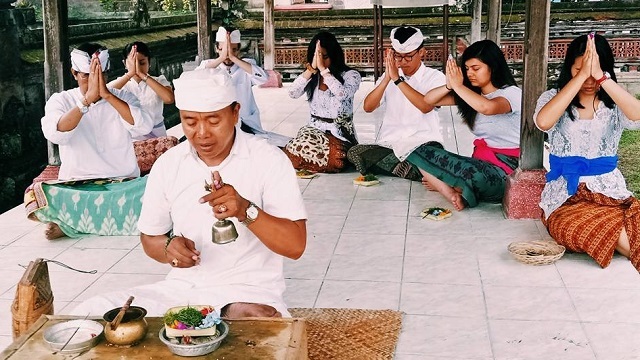 Through a generous gift of Ms. Julia Gouw, the UCLA Center for Southeast Asian Studies is pleased to announce the availability of travel grants to support field research in Indonesia during Summer 2019. The funding is available to UCLA students including graduate students and undergraduates who have completed at least their sophomore year by June 2019. Undergraduates are especially encouraged to apply. Fellowships are anticipated to be in the $2,000 - $3,000 range. Grant recipients will be required upon their return to write a 1-2 page report of their activities while in Indonesia as they relate to the proposed research project and potentially to participate in an oral presentation of research supported by the Indonesian Studies Program. California & the West and Whittier College. This free two-day teacher training workshop aims to provide area studies content and pedagogy training for up to 20 history teachers in the Greater Los Angeles area for Unit 9 Sites of Encounter for 7th grade under the CA History-Social Science Framework. The workshop will give history educators an opportunity to hear lectures from scholars to gain more historical knowledge for these particular sites of encounter and receive training for designing lessons and curriculum to align with the unit under the HSS Framework. There is also an opportunity for interested teachers to submit a lesson plan after the workshop to receive a $200 stipend. Northern Illinois University seeks a full-time cultural anthropology instructor to teach undergraduate and graduate-level courses in anthropology and Southeast Asian area studies in the Anthropology Department and Center for Southeast Asian Studies for one academic year at the main NIU campus in DeKalb. Instructor will teach a 4-4 load and will be responsible for developing, preparing and revising instructional materials, and mentoring undergraduate and graduate students. This position is based in the Human Rights Center to conduct research on transitional justice and advocacy relating to the US-Vietnam War. The primary purpose of this research is to explore: 1) the types of justice-seeking that have occurred within the US-Vietnam War context, 2) the effectiveness of the various types of justice-seeking (e.g., veteran movements, memorialization, film and media, legal remedies, the Russell Tribunal), 3) comparison of the US-Vietnam context with other past human rights violations contexts, such as slavery reparations and justice for indigenous peoples, and 4) the impact and implications of the war’s legacy in contemporary US society, politics and military engagement including in Iraq and Afghanistan. The Junior Resident Fellows Program is an intensive 6-week study program for American, French and Cambodian undergraduates. It will take place at the CKS Headquarters located in Wat Damnak, Siem Reap, and CKS Second Office in Phnom Penh (for two weeks). The program is structured around two hourly interactive classroom sessions and select field trips to historical and cultural sites in and around Siem Reap and Phnom Penh. Field trips will also include visits to national and international NGOs. Classroom sessions will begin by briefly covering Cambodia’s early history before examining major social, political, economic and cultural changes since the country gained independence. The Yale Indonesia Forum (YIF) seeks to address the issues of rising fear and anxiety, marginalization, and otherization in Indonesia from diverse disciplinary and methodological perspectives. How have categories of proper Indonesianness been historically constructed, and whom have they excluded? 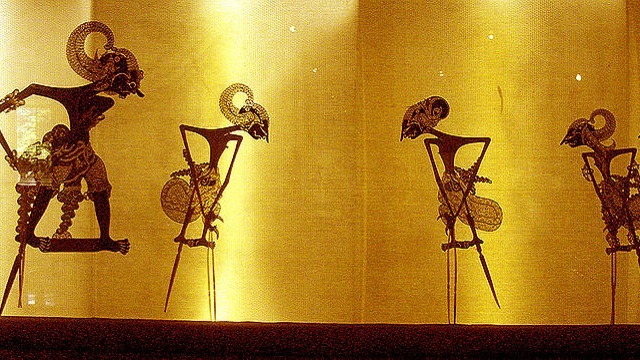 What are the historic and contemporary sources of societal anxiety in Indonesia? What new opportunities for and challenges to mutual understanding have emerged since the rise of human rights discourses? Are there clear victim-perpetrator binaries when it comes to otherization, and in what ways do targets of marginalization stake their claims to belonging? Can we predict what social categories will be the next targets? We invite speakers to present their research on these important questions and more. Please submit proposals and questions to mailto:necatyaleuniv@gmail.com. Collaboration between Southeast Asia Forum and Australasian Literary Studies. Explores literary-cultural connections between Southeast Asia and Australia in different genres, media, and languages. 250-word abstract and bio to Weihsin Gui (weihsing@ucr.edu) and Brenda Machosky (machosky@hawaii.edu). How does transmedia storytelling transform the performance of locality and subjectivity in Southeast Asia? What are the implications of such performances for multidirectional critique? Submit 300 word abstract and short bio to Brian Bernards (bernards@usc.edu). How do texts from Southeast Asia illuminate the ways in which place, power, and politics shape settler colonialism in the region? Comparative approaches to genres, contexts, languages, and time periods welcome. Submit 300-word abstract and bio to Sheela Jane Menon (menons@dickinson.edu). How are Southeast Asian literary and cultural texts conceptualized in the region’s multiple oceanic and maritime contexts? What might other critical confluences like Nusantara, Nanyang, Indian Ocean and Transpacific studies offer? 250-word abstract, 100-word bio to Joanne Leow, U of Saskatchewan (joanne.leow@usask.ca); Nazry Bahrawi, Singapore U of Tech. and Design (nazry_bahrawi@sutd.edu.sg). We encourage you to participate in our events and directly support our efforts to educate students and the public about Southeast Asia. There are many ways to give. Contact us to hear about more opportunities.